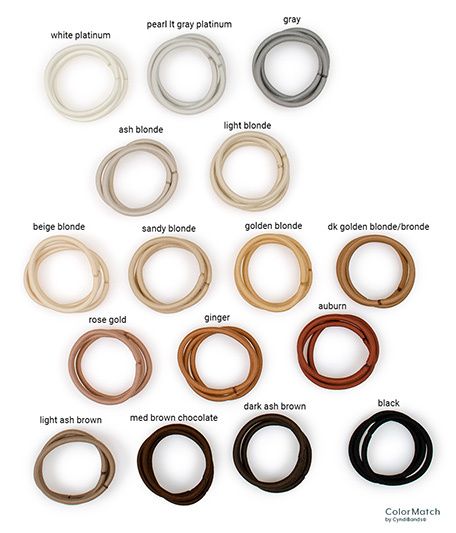 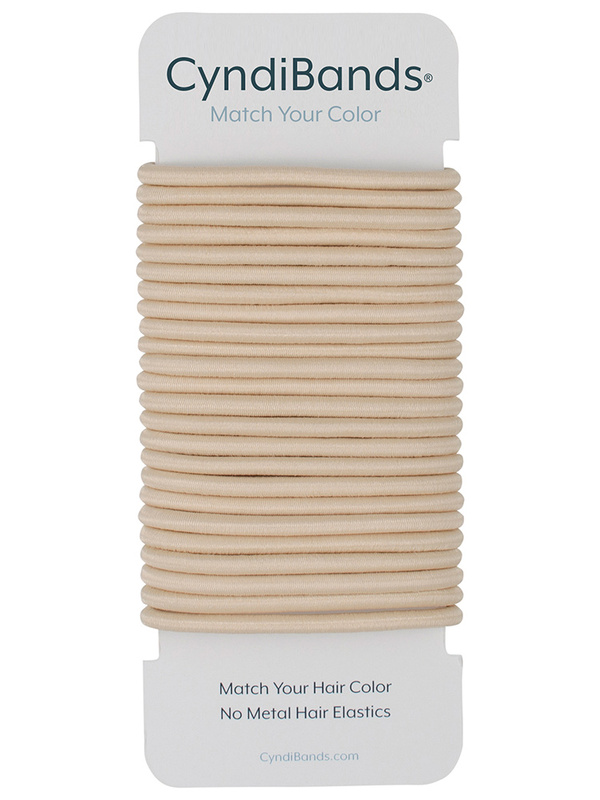 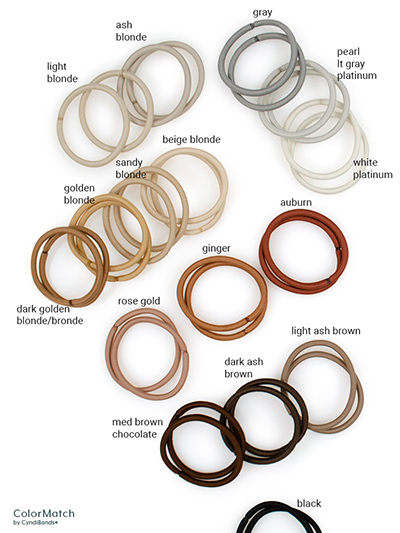 Get exactly the color you want with Color Match by Cyndibands match your hair color hair ties. 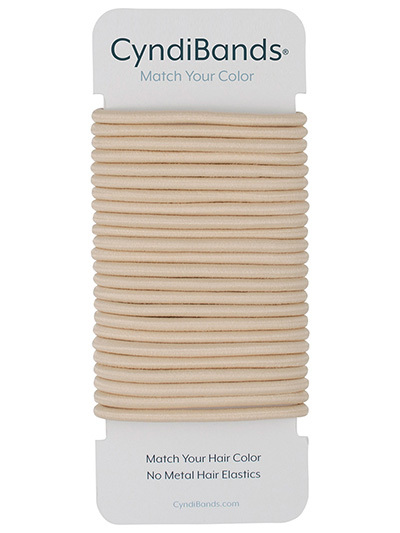 24 pack of solid color 4mm thick and approximately 1.75 inches across no-metal classic hair elastics in colors designed to blend in with your hair. 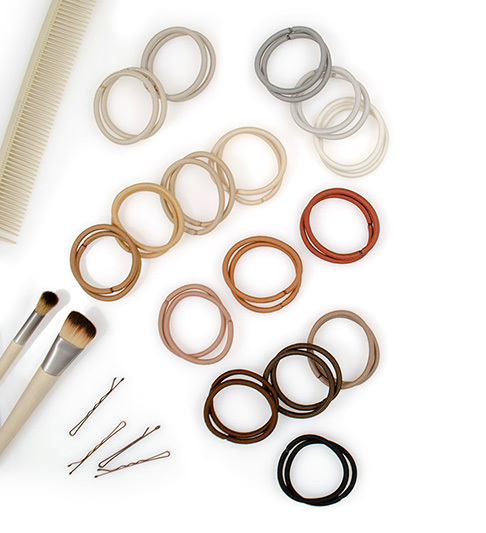 Elastics are secured with glue instead of metal to prevent breakage.